When you’re using Loadit, you may find yourself adding a module just to perform a simple transformation. 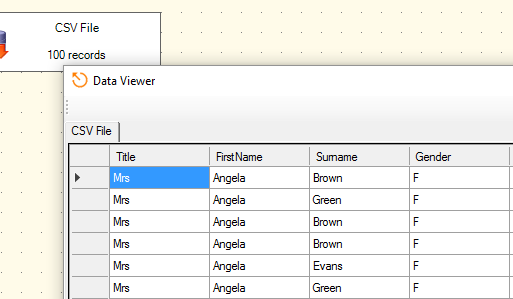 For example, sorting data, filtering records or adding a single derived column. It may seem wasteful to take up space in your package on trivial stuff like this. To address this, we added the “Output Tweaks” mechanism to Loadit. 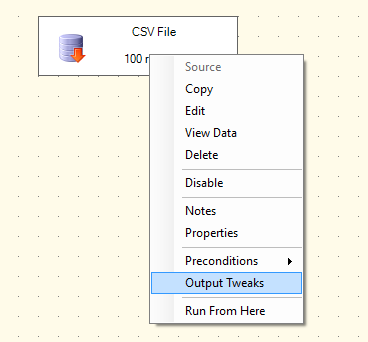 An output tweak allows you to make small changes to the output of a module without the need for an additional transformation as well. Let’s take an example. Suppose you have a csv data source module and you want its output to be sorted by, say, first name. As the output tweak is tucked away inside the module, it may not be obvious to other people that it is there.